We don’t have to tell residents of Scottsdale or the surrounding areas that the Sonoran desert is the hottest desert in North America. Every scorching hot summer serves as reminder of that fact, which is why we take being recognized as the very best in AC repair and service companies very seriously. Having functional air conditioning means than simply keeping your family comfortable; it is literally needed to keep you healthy in a desert community. By backing our knowledgeable and friendly team of HVAC experts with the absolute best equipment, innovative tools and stellar customer care techniques, we have quickly risen to the very top in Scottsdale AC repair and home services, being named the #1 air conditioning and heating contractor in the United States for three consecutive years. Though this is an obvious point of pride for us, it is more important that the ranking gives our existing and potential customers the peace of mind when looking to hire a heating and cooling services company. Scottsdale residents can experience the difference in AC repair and service by making one phone call to 602-892-9948 and scheduling your next HVAC service appointment. 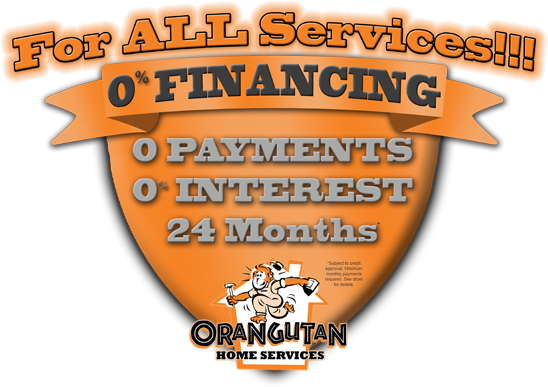 We look forward to bringing Orangutan quality to your home.